from Jeffrey Hamelman's Bread. I half the recipe in the book, and without any high extraction whole wheat flour, I used what I have have on hand, German brand Weizen Vollkornmehl (whole grain whole wheat flour). This was although a relatively easy ingredient bread, as many said, not an easy one to achieve the right texture, right curst and crumb. I should have done more research before I started the mix. The book says I can go ahead to use 10% of bread flour if I do not have high extraction whole wheat flour. I went ahead with the mix of 10% bread flour, however, I didn't realized that my whole wheat flour is a full whole grain wheat flour, fully loaded, darker than usual whole wheat flour that you buy off the shelf. Therefore, my miche, not quite a miche, is a strong whole wheat miche. 1. Mix the levain overnight. I had mine sit for 8 hours as the temperature was about 24 degree celsius. 2. Mix the water and the flour, let sit, autolyse for half hour. then add salt and levain. Mix well. 4. Set aside the dough for 2.5 hours. After 45 minutes, do a stretch and fold. Repeat this again after each 30 minutes. As I was waiting for the next fold, I did a quick research on what a miche will look like, trying to plan how I should score it. Well, I saw a few things. 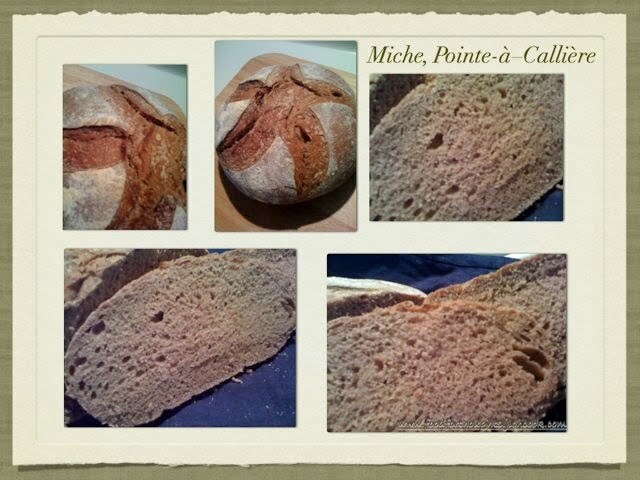 a. Miche looks lighter in the colour in general, mine was dark brown like rye. c. Cold retard is not a good idea, although 1 member of The Fresh Loaf did it, but hers was almost 80% All Purpose Flour. Another experiment by another member revealed that that with cold retard, the bread will get lots of blisters. 5. After 2.5 hours, as I had to go out, I had no choice but to stuck it in the fridge. 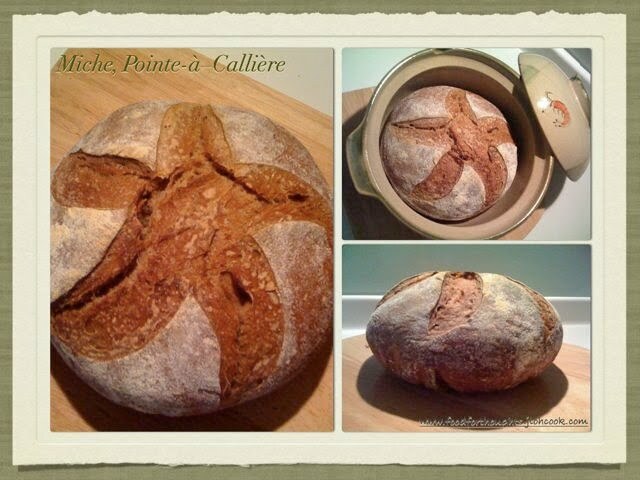 I shaped it into a boule and put it to proof. Hamelman warned that this dough is not good for cold retard. But I guess I bake around my schedule. 6. After 4 hours, I was back home, and I took it out of the fridge for 1 hour and it rose a little more. I did the poke test and it seems right. 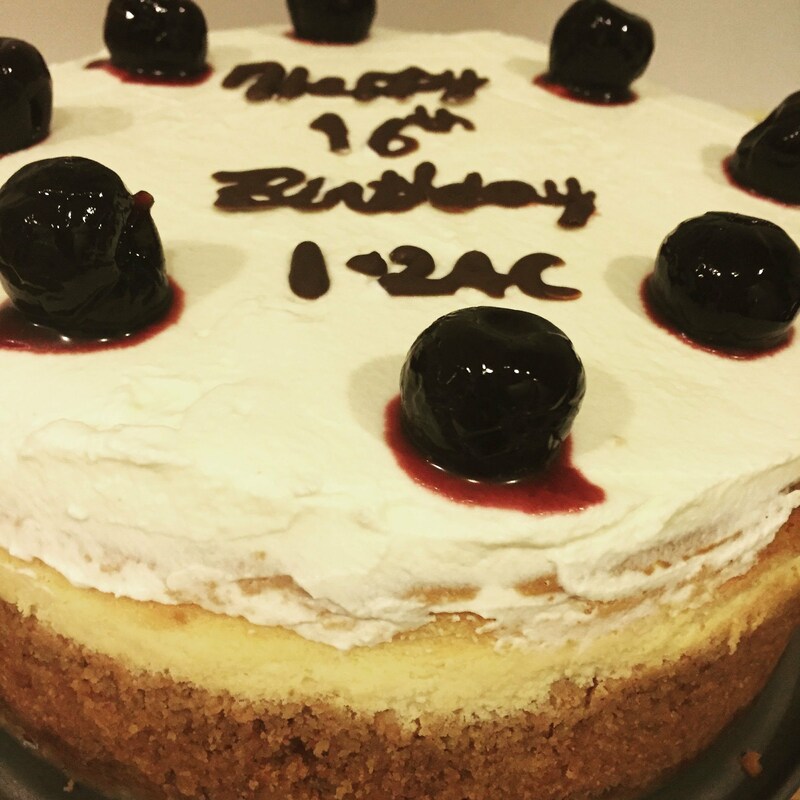 I was going out for dinner again, and I went ahead to bake as it'll take 1 hour to bake this. 7. I decided to bake it in a claypot cold. I scored the dough in a star like shape, gently put it into the claypot, and put the oven at 250 degree celsius covered. After 30 minutes, I removed the cover, oops, the bread had cracked up. I brought the temperature down to 230 degree celsius and bake it uncovered. After 15 minutes, I tested the internal temperature, it didn't reach 200 degree celsius yet, and I continue baking for another 10 minutes. This time, it reached the required temperature and I took it out. It rose well in the claypot, and I must say that I love my scoring. The star turned out really well. No cutting it until 12 hours. Knowing those whole grains with sourdough that I baked, it'll take about 24 hours before I should eat it, as the taste it a little too sour at the beginning. I was a little disappointed that the bread was a little denser that I had hoped it to be with my technique of stretch and fold. 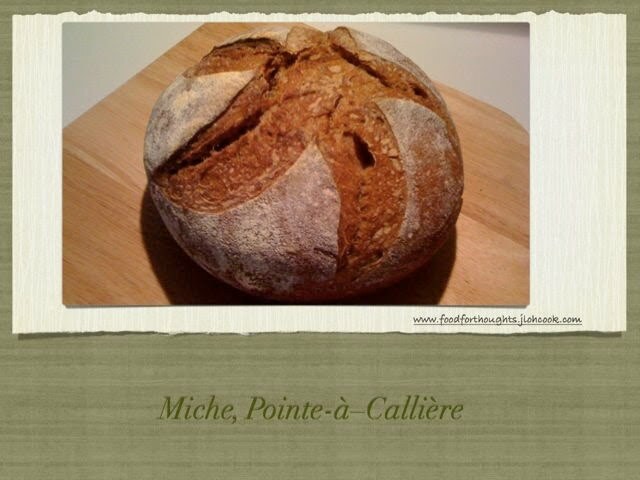 I would probably want to try using All Purpose flour to have a lighter miche, or get a different brand of flour, that has a lighter whole wheat, perhaps the texture will be slightly different. The taste is still a little strong, but it goes really well with strong cheddar cheese.